$1.00 off one Bounty Paper Towels! 6 ct or larger. Excludes Basic and trial/travel size). Coupon expires 2/25/17. 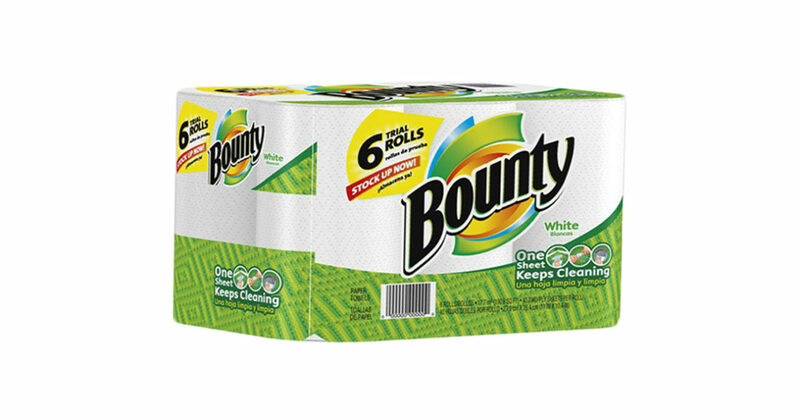 SAVE $1.00 on Bounty Paper Towels, 6ct or larger! From small spills to bigger accidents, we turn to Bounty to help clean up life’s little messes. Save $1.00 on the nation’s leading brand of paper towels with this coupon when you buy a package of 6 or more. 2X more absorbent than its competitors, making each roll last 50% longer, making your home a Bounty is easier than ever. Expires 7/30/16.